Mount Kisco Child Care Center (MKCCC) provides high quality, affordable care and early education to a diverse group of children in a safe, healthy environment through innovative and developmentally appropriate programming. Curt Beusman was a dear and long-time friend of Mount Kisco Child Care Center. He was a great mentor to many and always had the best interest of MKCCC in his thoughts and heart. One of Curt’s many legacies was to start a Children’s Scholarship Fund in 2010 to ensure scholarship support for children in years to come. 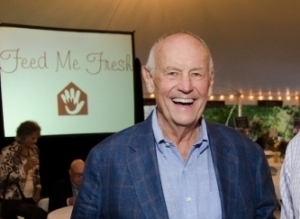 In 2016, MKCCC Board Member, Carol Gill, revitalized the initiative and launched the Curt Beusman Children’s Fund in an effort to continue this important work in his memory. Curtis Beusman was a resident of Mt. Kisco for more than 50 years. He received a B.S. from the University of Cincinnati and an MBA from Columbia. He co-founded Mt. Kisco’s Curtis Instruments, Inc. and started the Saw Mill Club. He served on the Chappaqua School Board for five years and was President in 1972. Curt was a founder of the International Health and Racquet Sports Association and was a motivational speaker world-wide. Curt served on the Mount Kisco Child Care Center Board of Directors for five years and was Fundraising Chairman for two years. Curt was well known for his generosity and sense of humor. He provided unbridled enthusiasm with his efforts on behalf of the Center during his tenure. We all miss him dearly. Thanks to a generous matching donation, your first $7,500 in donations will be doubled! For over 47 years, MKCCC’s Scholarship Initiative, has enabled MKCCC to fulfill its mission of providing children with access to affordable, safe, high-quality early care and education. In 2017, we provided tuition assistance to 123 low-income children, or more than 50% of MKCCC families. In 2017, the average annual cost for center-based care in New York State for an infant exceeded the annual cost of college tuition at a four-year public college. Yet, unlike the cost of higher education, there is no system of public financing to help make child care more affordable for families. Affordable child care in Northern Westchester, particularly accessible infant and pre-school care imbedded with a special needs component, is in short supply for families of low and moderate-income levels. Mount Kisco Child Care Center believes that every child should spend their day in a high quality, developmentally appropriate place—a place designed to meet their needs and help them realize their potential. More than ever, we rely on the kindness and generosity of people in our community to help us carry out our mission. Thank you for your continued support! Please donate today at mkccc.org/product/spring-challenge-donation . Together, we can make the difference when it counts the most, in the early years.